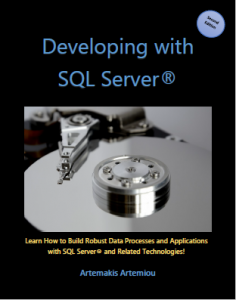 Encrypting a SQL Server database backup is necessary in many cases, especially when the database has sensitive data. 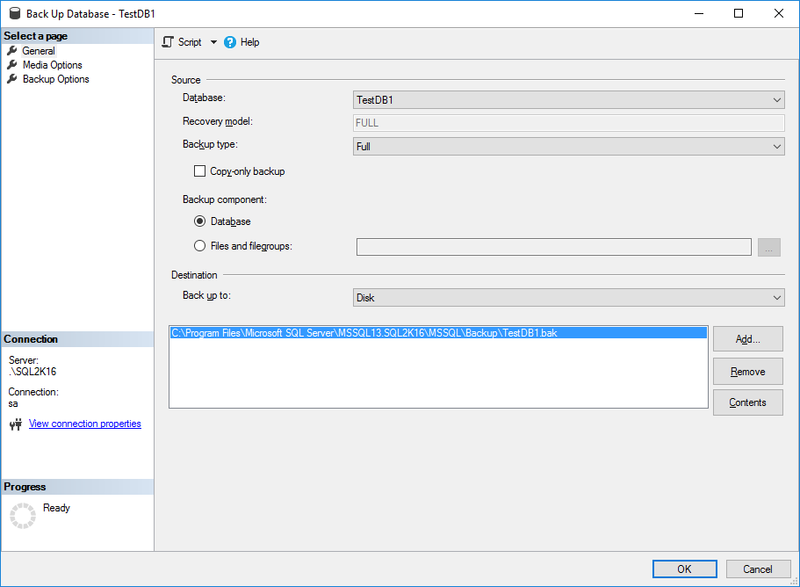 SQL Server provides an easy way to encrypt database backups. 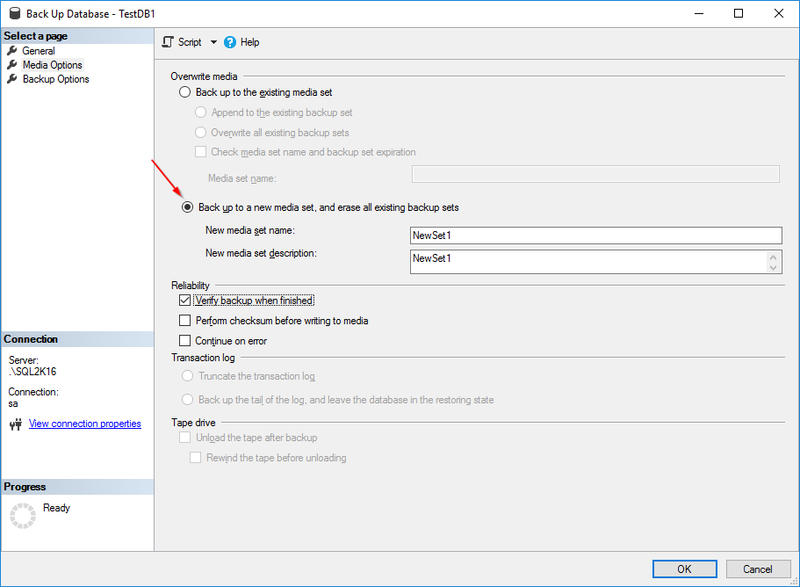 Let’s further examine this functionality with a step-by-step example. If we go to “Backup Options” we see that there is a checkbox named “Encrypt Backup”. By default, this is not available as you prior need to set a new media set in “Media Options”. It will be made available, only if you set a new media set. 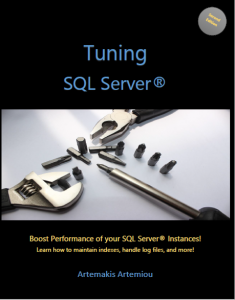 Note that the above file keys are created by the service account that runs SQL Server Database Engine and it is the only user that has full access. 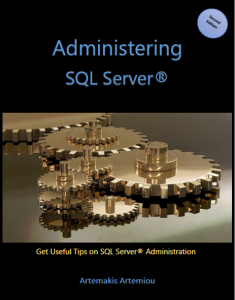 In order to get access to these files, if you are a local administrator on the machine running SQL Server, you can do so by editing the permissions (via Advanced dialog). As you can see, backup was successful. 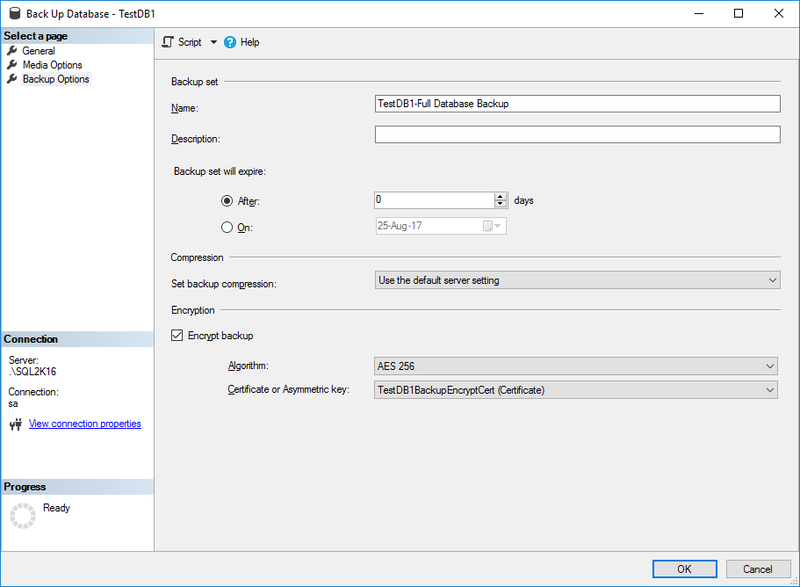 Now, the backup file create is encrypted with the newly created backup certificate. Now, let’s try to restore the encrypted database backup set to another instance of SQL Server (instance name: “DEMO-PC1”, it is a default instance name). As you can see, it was not possible to restore the encrypted database. 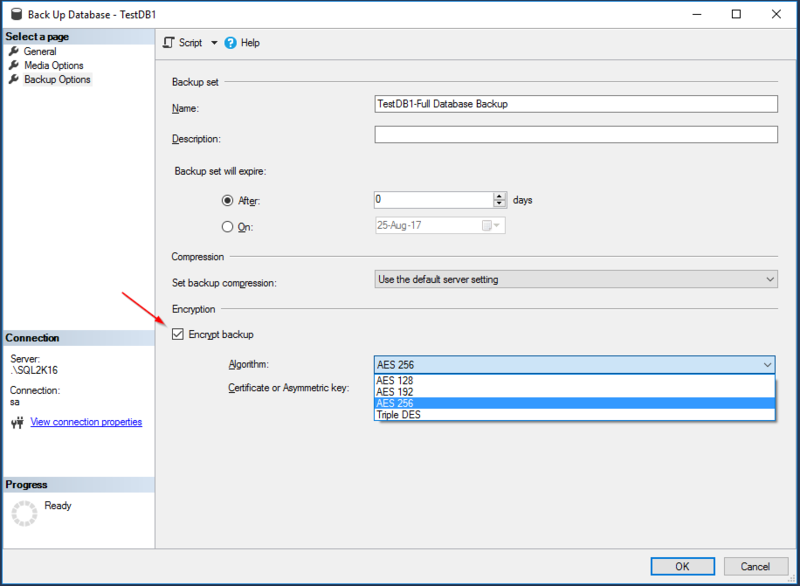 This article explained by example, a way of encrypting a SQL Server database backup using SQL Server’s built-in security mechanisms and restoring it in another SQL Server instance. 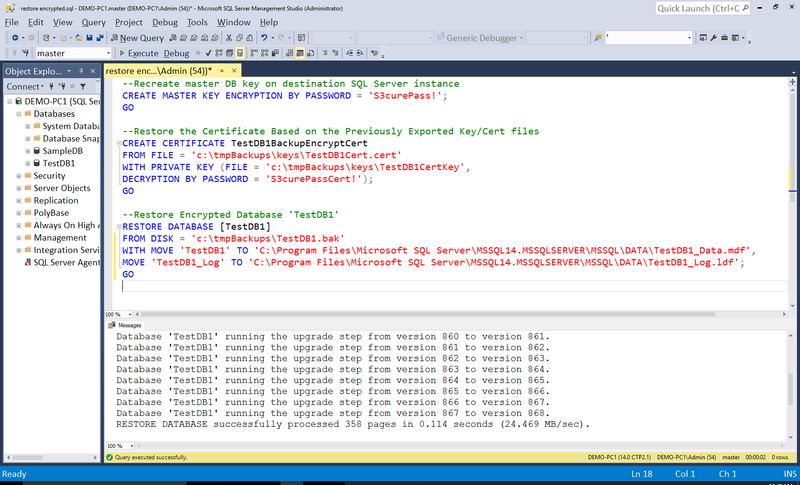 Encryption is a very powerful feature in SQL Server and must be used wisely. 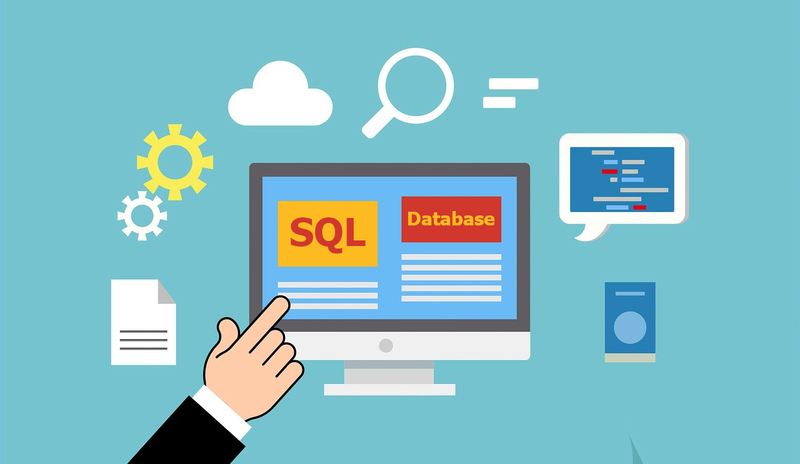 SQL Server is a powerful data platform that provides all the necessary mechanisms for achieving almost anything you would like to do with your data. 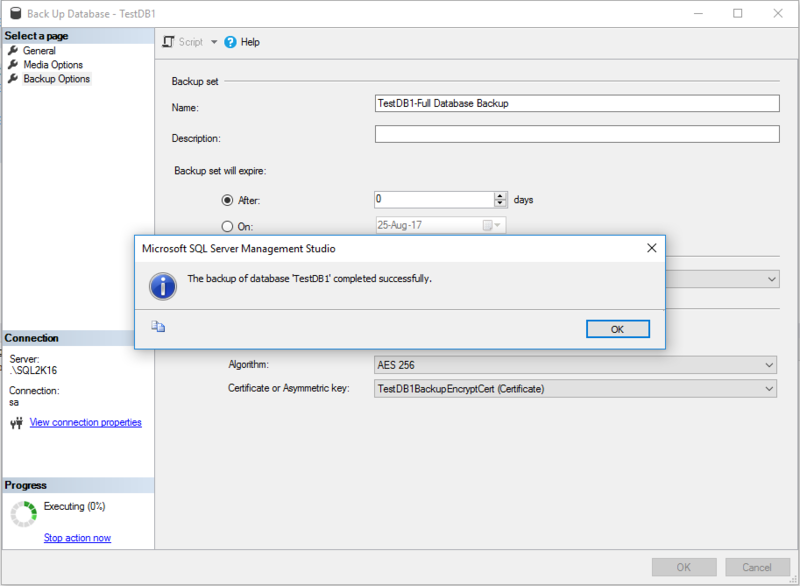 All these mechanisms are built-in and can be easily used just like in this example, where we encrypted a database backup and then restored it on another SQL Server instance. Easily generate snippets with Snippets Generator! 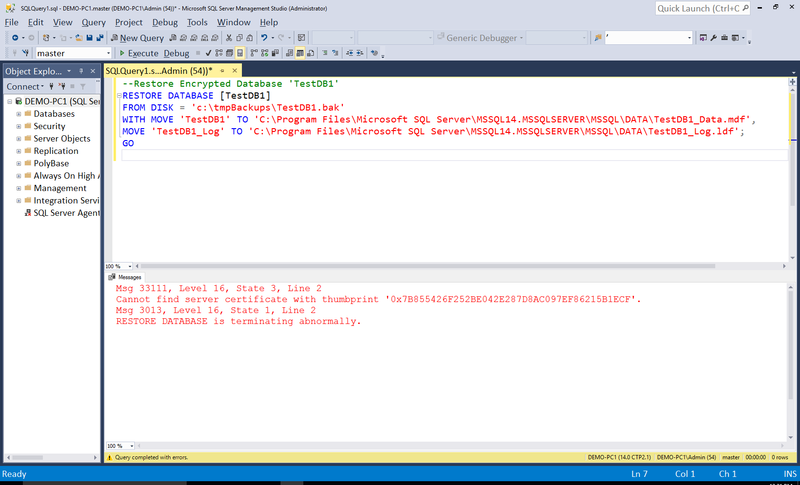 Secure your databases using DBA Security Advisor! ← I’m a Microsoft Data Platform MVP for the 9th Year!